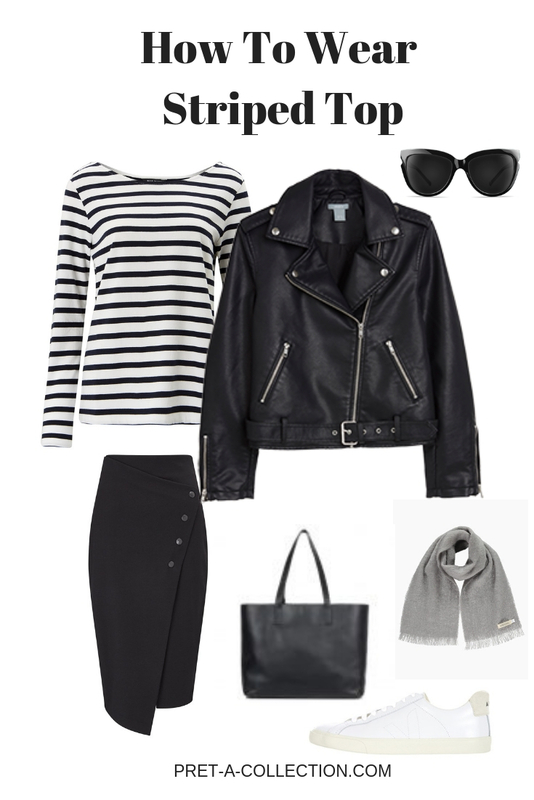 You have your capsule wardrobe in place and you play around with the outfits. Here is a little inspiration from how to style series. I picked the striped top, such a stylish piece of clothing, no wardrobe can be completed without a such a typical french piece. Who doesn’t want to feel and look like a Parisian? Probably everyone just says why even to think about it, of course with everything. Fair enough. Sure, wear it with everything and everywhere. But before you buy one, let me tell you what should you considered to make sure you have a perfect piece. The striped top is definitely an investment piece. As with everything else, this is your choice and preferences. I like to wear a slightly oversized fit. I don’t like to wear clothes too tight. When I eat I bit more, not everyone need to see it and I still feel comfortable ;).Or do you like to wear your top with the tank top underneath in the winter? If you have the same problems as me, go for a looser fit. Styles with a tighter fit looks great being worn under blazers or any smart jacket. Also, they are a great layering piece, not too bulky and still stylish. 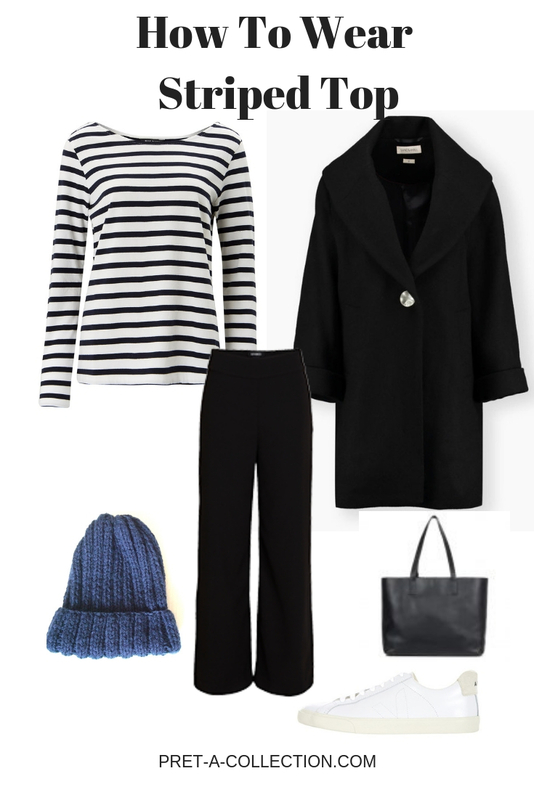 Typical Breton stripe tops are blue, like a navy blue. Nowadays you can find all kind of colour you can think of. 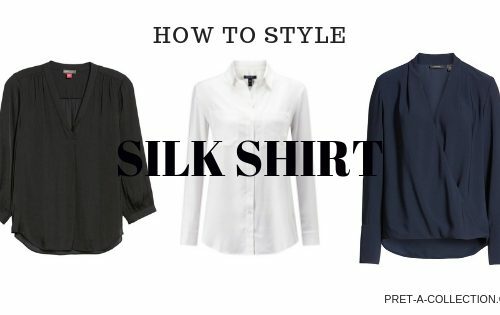 Typical colour for a capsule wardrobe is white/navy blue or white/black. Those are the colours that complement any kind of wardrobe, style and personality. As a big fan of stripes, I wore the striped tops in any sleeve length – short sleeves, 3/4 sleeves, long sleeves. My least favourite is 3/4 length, great for summer or worn on its own, but not so perfect to wear it under knit. You know the struggle, for summer we want something light way, but in the evening sometimes it’s not enough. And in the winter we want to wrap up in the knits. But then comes to the mind the capsule wardrobe and we are lost again. Or do we really need to buy 10 different kinds of striped tops to cover all seasons? I found a perfect one. It is heavier cotton and in a relaxed fit. Breathable and airy in the summer, and nice and warm in the winter with the room for an extra tank top. Baukjen does it just right, the top has that perfect relaxed fit, not too bulky or too tight, sleeves are just right – means not reaching my palms, what I struggle with a lot. And it comes in heavier cotton what makes it look smart and dressy instead of looking snuggly and poor quality. As always I prepared some outfit inspiration, you can check back anytime when you have nothing to wear and in a second you will look and feel effortlessly chic. All outfits were created with the Baukjen Callie Top. Baukjen offers a special discount for all my readers with code PRET20 get 20% off on all none sale items until 29/12. 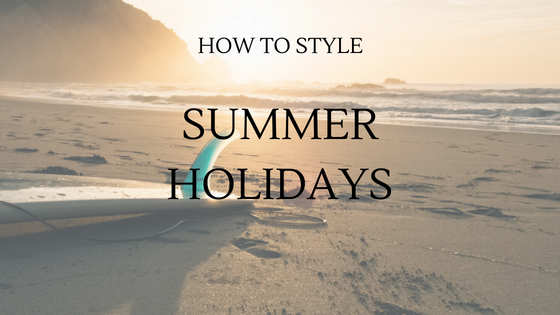 If you like a bit more inspiration on styling your capsule wardrobe have a look at this posts. 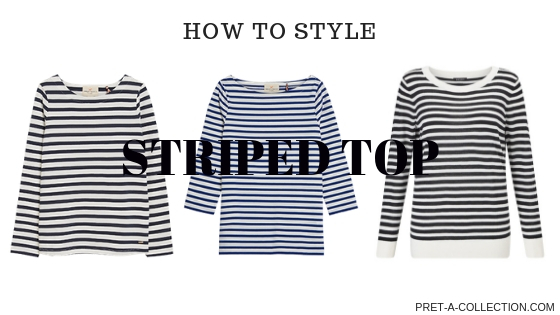 How do you like to wear your striped tops? Did you find the perfect one? 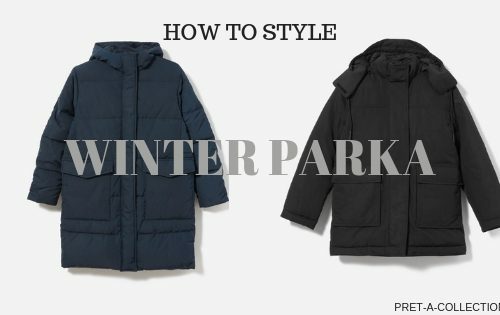 Let share our style tips in the comments.